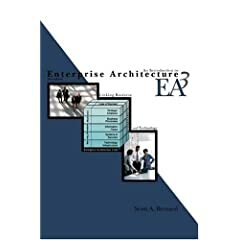 This workshop builds upon knowledge and skills learned in the Fundamentals of Enterprise Architecture course by focusing on how to apply those concepts through a class-wide architecture project that develops a web-based EA repository and integrated set of basic EA artifacts using an EA tool. These artifacts will document/model strategic initiatives and measures; business requirements for processes and services; and supporting technology solutions including information systems, applications, databases, websites, networks, security, and standards. The course will also cover best practices to develop EA artifacts in a manner that promotes linkage between the strategic, business, and technology. Day 2: Classification Day. Defining the enterprise: mappings of frameworks and architectures. How to build business-data-systems artifacts. Day 3: Blueprinting Day. Current and future architectures. Future architecture drivers. Segment prioritization. Reviewing detailed artifacts. Day 4: Actionable Transformation Day. Stakeholder requirements. Livable architecture. Sequencing plan. Consolidated principles. Following this workshop, participants will be better prepared to participate in and add value at an intermediate level in EA projects in private and public sector organizations, including documentation, modeling, archiving, tool use, and task accomplishment. This will result in improved EA program success, higher quality EA products, improved communication with EA program stakeholders, and increased EA value delivery. At the end of the 4-day "Applied Enterprise Architecture Concepts" workshop, participants will receive a Dual Course Completion Certificate issued by Telelogic and CMU. This workshop is particularly useful for anyone who is involved in enterprise architecture. This includes, but is not restricted to Business Managers, Program Managers, Technology Managers, Technical Staff. This workshop is organised in cooperation with and . The number of participants is limited to 16 for maximum interaction and learning experience. During this workshop, free wifi Internet access will be available to our participants. This Enterprise Architecture certification program will give you the knowledge and skills you need to successfully implement an EA initiative in the public or private sector. You will learn EA concepts, best practices, and tools from experienced Carnegie Mellon certified instructors. The Certification Program is built from three intensive courses which provide a comprehensive development program for Enterprise Architects: the "Fundamentals of Enterprise Architecture" course, this "Applied Enterprise Architecture" course and the "Advanced Enterprise Architecture". You will attain "Certified Enterprise Architect" status after passing three intensive exams for each of these courses.